Keeping your child’s school uniforms looking great is easy when you know how to properly care for them. 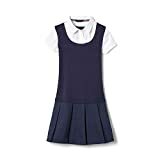 Continue reading to learn how to care for your child’s school uniforms. Each uniform can be different and require different care procedures. This is why it is important to read each care label and follow the instructions on the label. Following these instructions will keep your child’s uniform looking its best. See these khaki shorts of juniors, they will have very different cleaning instructions to a nylon shirt. Turn the uniform inside out and wash it before it is worn. This helps remove excess fibers from the outfit. These excess fibers can rub together, causing pilling on the garment. Open buttons and close zippers and fasteners. Ensure the garment is straight and flat to avoid it snagging in the washing machine. Garments should always be washed inside out to reduce pilling and excess fading. Cold water helps to keep your garment looking great without fading. If you have a stubborn stain, wash on warm and use an appropriate stain remover before laundering. Although fabric softener softens fabric, it can damage your child’s school uniform. Fabric softener raises fibers in the uniform and increases the risk of pilling. Furthermore, fabric softener can weaken elastic. Laundry detergent contains chemicals that can lead to fading. Using a high-quality laundry detergent can minimize fading and extend the life of your garment. Sort your laundry into similar colors and fabrics for best results. Uniforms should not be placed on radiators and other sources of direct heat to dry. Most school uniforms are produced using easy-care fabrics, which mean you can gently shake them when they are washed and hand them to dry. 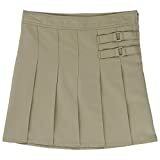 This helps to minimize the need for ironing, which can ruin your child’s school uniform. Unless the label states that you can use dry your clothes in a clothes dryer, it should be avoided. If you do place your child’s uniform in the dryer, use on the tumble dry setting as heat can cause the fabric to pill and elastics to weaken. Caring for your child’s school uniform is easy. Always read the care instructions on the label and follow the directions. To help extend the lifetime of the school uniform, wash in cool water and allow to air dry.